What we will learn today? 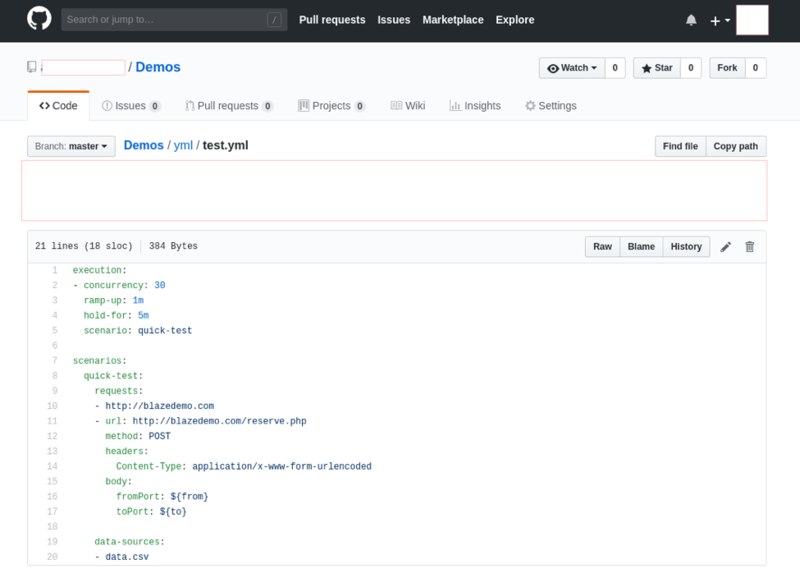 In this blog post I’ll explain how you can use GitHub and Jenkins so your BlazeMeter performance test automatically runs the most updated test data. This is an easy way to ensure your tests are always accurate and complete. This new feature in the BlazeMeter Jenkins plugin lets you update many types of test data. Test data can be executable script files from any tool BlazeMeter supports: jmx, yml, scala etc. Or, configuration or data storage files for the main scripts, like CSVs and properties files. To do this, we will setup Jenkins CI to run an automated test in BlazeMeter. 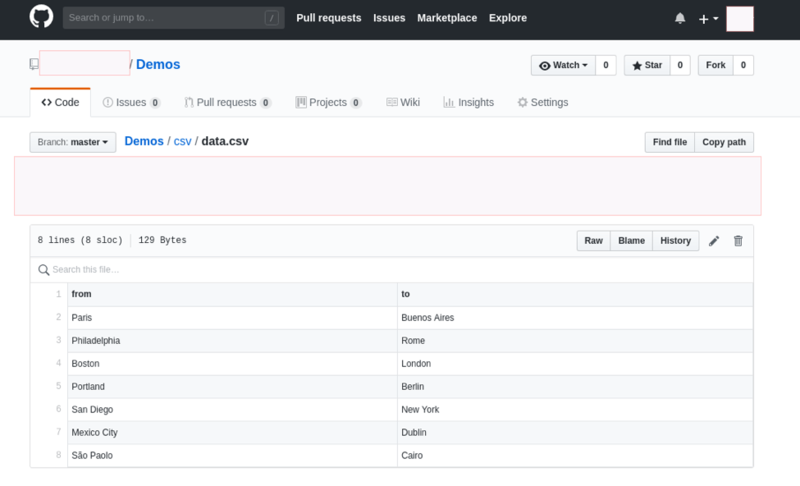 We will use Github for storing the test configuration and data for this test (e.g. csv file). When Jenkins starts a job, it will go to our github repository and update the test files in BlazeMeter. As a result, our tests will always have the newest test data. I will show you how to run a Taurus performance test, but you can use any of the testing tools BlazeMeter supports: Apache JMeter™, Gatling, Taurus, etc. As a first step, let’s create a test scenario in Taurus. I chose Taurus, because it has a simple yaml config file that is very easy for test scenario configuration. But, you can also use tools like JMeter. This scenario will open the http://blazedemo.com page while gradually increasing the number of concurrent virtual users from 0 to 30 within a minute. Then, the scenario with 30 users will run for 5 minutes. This is the main page, which has a simple form. Let’s add a POST request to our test plan. The next step is create the Taurus test in a.blazemeter.com. 1. Click on the button ‘Create Test’. 2. Select ‘the Taurus Test’ type. 3. Upload your *.yml and *.csv files to the test. Now your test is ready for execution in BlazeMeter. 2. Add the *.yml and *.csv files to your repository. In my case, I have a test.yml file in the yml folder and a data.csv file in the csv folder. This is the last step. 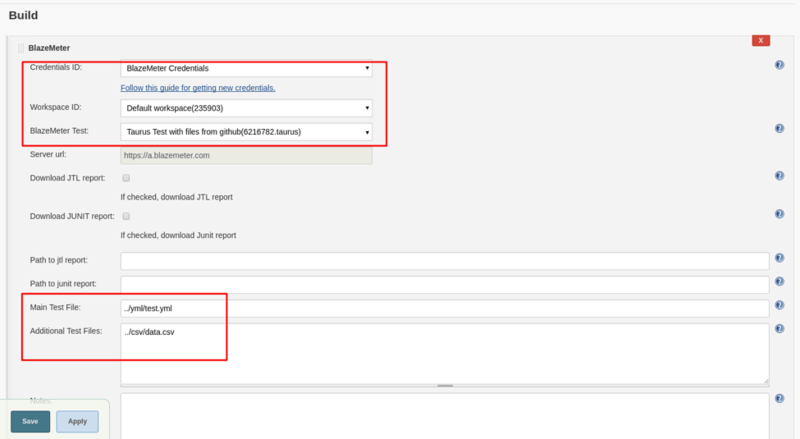 Create and setup a Jenkins job that will get these files from GitHub and update them in BlazeMeter before running the test. 1. Open Jenkins and create a FreeStyleProject. 2. In ‘Source Code Management’, select ‘Git’ and paste your repository URL. 3. In ‘Build’ add a BlazeMeter build step. Select the test that you already created and write the paths to the files. The path should be relative to ‘JOB_WORKSPACE/BUILD_NUMBER/’. I know, that ‘Source Code Management’ will clone my repository to JOB_WORKSPACE/ so I start my path from ‘..’, which means parent directory. 4. Save your job and run. 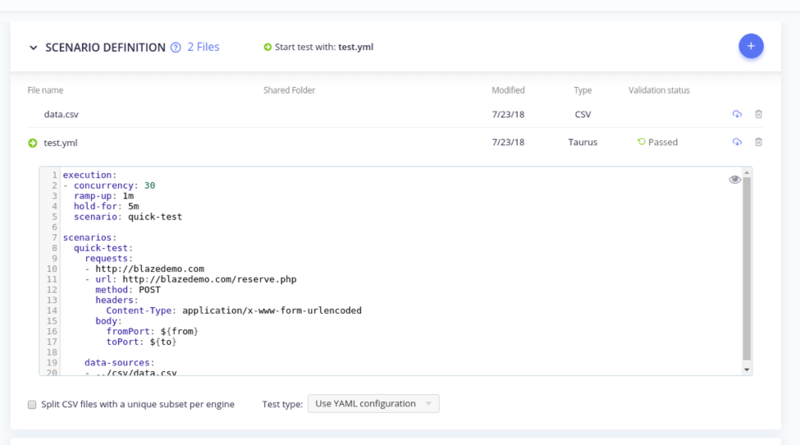 Every time your Jenkins job is run, Jenkins will clone the Git repository to the Jenkins workspace, the BlazeMeter Jenkins plugin will upload the files the user selected in the job configuration, and the BlazeMeter Jenkins plugin will run the BlazeMeter test. That’s it! Your BlazeMeter test will now always contain the most updated data. 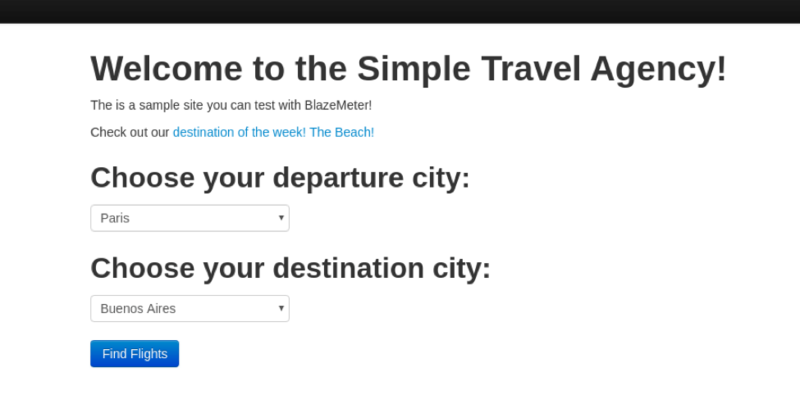 To see how BlazeMeter works, put your URL in the box below and your test will start in minutes. You can also get a free BlazeMeter demo from one of our performance engineers.